We can do any alterations or repairs to your American vehicle. 1952 Chevrolet Styleline. Fully self-contained 4 berth motorhome. 265 V8 dual fuel, 4 speed manual. Built in 1975 from a ‘52 Chev Sedan. 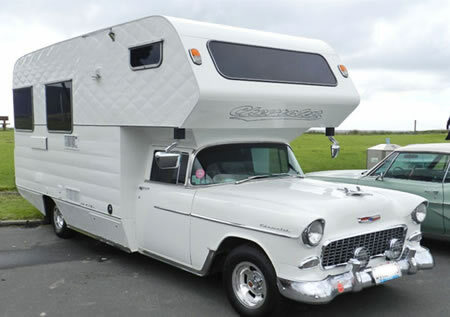 1955 Chevrolet Belair. 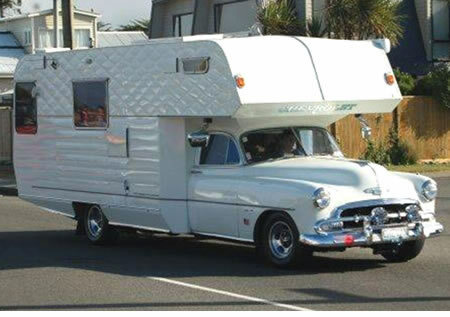 Fully self contained motorhome. 350 V8, dual fuel, 5 speed manual. Built in 1996 from a ‘55 Chev ute. (Already chopped from a Sedan).